Grevena has an excellent ski resort (Vasilitsa), which are the only tracks in Greece that cross forests pines. This is one of the most beautiful ski resorts in Greece that holds snow until spring. It has two aerial lifts total length of 1.800m. 3 mechanical lifts, baby-lift 350m, 12 ski runs total length of 7.500m, the highest slope for beginners in Greece (3.860m), closely snowboarding, ski schools, shops, rental equipment, 2 days chalets and a hostel. The Pindos National Park is one of the greatest National Parks of Greece. It is a secluded area in the northern part of Pindos mountain range. It includes the valley of Valia - Kalda which is Vlach word meaning warm valley. It has been named like that because it displays daily significant temperature variations, with very high temperatures during the day and no clouds with very temperature low during the night. It also includes an impressive stream and tributary of Aos river “Arkoudorema” and the mountains of Lygkos and Montenegro. The frozen "Warm Valley" is one of the coldest and wet regions of Greece. The scenery is impressive and apart from the variety of morphological and vegetation characteristics, it is further underlined by huge cliffs and rushing streams. The environment is very important for the welfare of a huge variety of species from the animal and plant kingdoms. Covered by dense forests of black - white pine and beech, it is a vital refuge for many bird species and among them, there are some rare birds of prey (vulture, imperial eagle) and large mammals (bear - chamois, roe deer) that have disappeared from the most areas of Greece. The entire area is perhaps the most important habitat in the country for the brown bear. The National Park of Pindos as a general statement of Greek and foreign specialists, is characterized by unique biological, ecological and research interest. It combines the aesthetic landscape of great value, the habitat with high diversity of flora and fauna, diverse geomorphological composition, sensory and uniqueness at national and European level.The value of the area of Valia - Calda and the need for protection has been recognized not only with the declaration of the National Forest in 1966, but throughout Europe with the accession in the network of highly protected areas of the European Community. 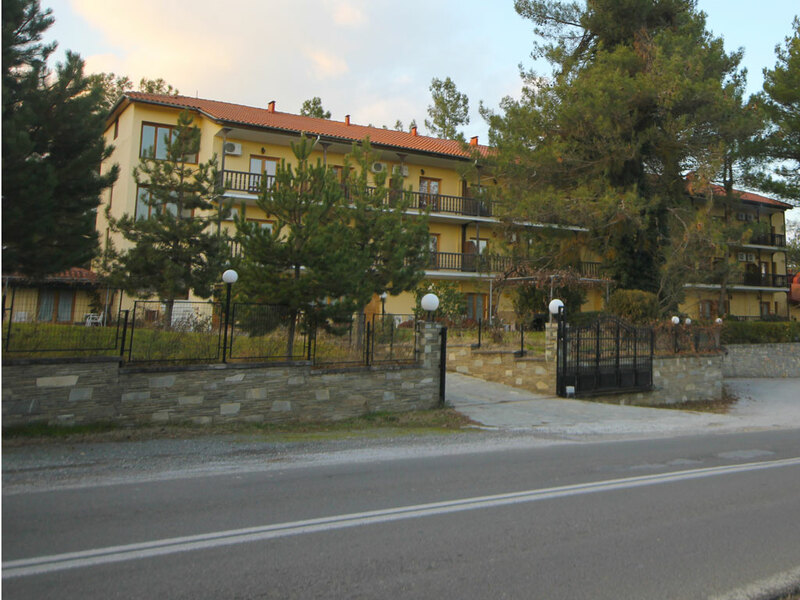 Grevena Town has a rich cultural and historical heritage that is provided in the local museums (museum of paleontology and archaeological site), important religious sites (churches, monasteries) and the most impressive stone bridges across Macedonia Region. The most important monuments are classified by the Inland Revenue 11th Byzantine Monuments. Grevena Prefecture promotes Ecotourism and offers alpine and tourist trails. There are 13 stone bridges on the river Venetikos, some of which are considered as the most important in Greece. From Samarina mountainous village to Smolika mountain and from Perivola area to Valia Calda National Forest and Drakolimni lake. Climbing can be practiced around the rocks and caves, as well as Avgo mountain. Aliakmonas and Venetian River are perfect for Rafting & kayak in Aliakmonas and the forest roads and trails are ideal for horse riding. The local cuisine includes exquisite dishes made with mushrooms, local meat, cheese and organic products. Homemade products such as jams/sweets and local drinks such as raki, are famous throughout the region. The mushroom festival runs every summer in Grevena for presenting the gastronomical specialties of Grevena Town and Grevene prefecture.